Associated British Ports (ABP) has announced a £2.2 million investment in a new state-of-the-art warehouse at the Port of Ayr which will improve its customer offering. Work on the new 4,000 sqm agribulk terminal began in 2018 to support South West Scotland's growing agricultural sector. The new facility will be located on the west side of Griffin Dock at the port. Commenting on the latest investment news, Andrew Harston, ABP Short Sea Ports Director, said: “We are proud to announce another major investment in our Scottish ports to ensure that we can continue to offer our customers the best infrastructure available to help their businesses grow. The contract for building the warehouse has been awarded to a Scottish family-owned company, 3b construction, in line with ABP’s “buy local” strategy, which aims to support local businesses. 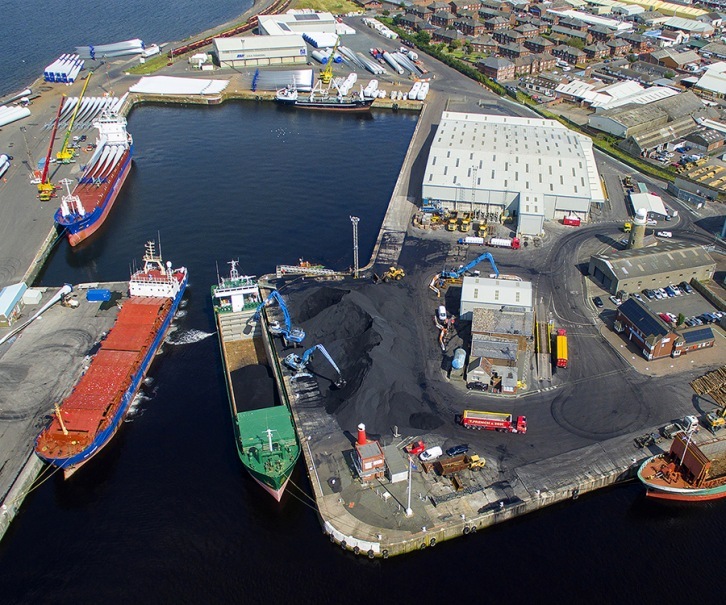 Stuart Cresswell, ABP’s Port Manager at Ayr and Troon, said: “Following other recent investments in warehousing, cranes and a new pilot boat, the development of another major agribulk terminal in Ayr is a huge vote of confidence in both our Scottish Ports and our local workforce. Aerial photograph of the Port of Ayr. Image by ABP.